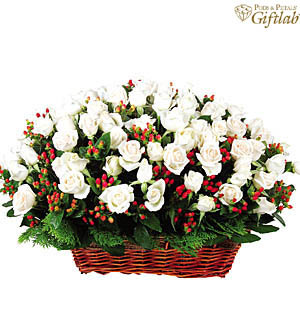 A flattering basket of cream Roses and Berries to show your sincere affection. We only uses imported Grade A++ Roses for all our arrangements. 20 stalks of classic cream Roses with Berries. Flowers as shown in picture. 99 stalks.